The annual Puccini Festival enlivens Torre del Lago with summer lakeside performances celebrating Italy’s operatic sweetheart. The concert season is among the most significant in the world of opera, with a 64th edition working to unite talents across the creative spectrum. A mission of collaboration between specialists in music and the visual arts pays due homage to the composer’s monumental legacy by realizing every aspect of his artistic vision and infusing it with modern life, from the scenography to the score. 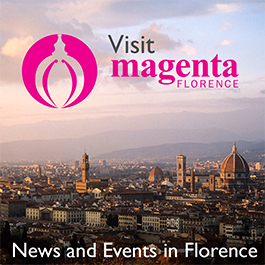 Giacomo Puccini was born in Lucca and resided in Torre del Lago for 30 years, composing the bulk of his works there. The prolific composer’s former residence is now the Villa Museo Puccini, where memorabilia, manuscripts, and his place of burial can be viewed. The house is surrounded by peaceful countryside and the picturesque waters of Lake Massaciùccoli, making it easy to understand where the soaring romanticism of his melodies comes from. The series venue, Gran Teatro di Puccini, takes the lake’s deep blue as a default backdrop, its steep rise of stadium-style seating allowing for the audience to see the stage action and the natural beauty of the lake and rugged hills in one frame. As spectators enjoy Puccini’s masterpieces this summer, they can also take in the natural beauty that inspired him, though mosquito repellent is advised. His works are among the most performed in the Opera repertoire, especially his “big four:” La Bohème, Tosca, Madama Butterfly, and Turandot. However, the festival goes far and beyond the Puccini standards, painting a complete portrait of the composer. Giancarlo del Monaco, son of legendary tenor Mario del Monaco, will conduct Tosca on August 12. Torre del Lago and the Puccini Festival have a special place in the Maestro’s heart, as his father resumed his singing career there after a serious car accident. It was the last place he sang (in a 40-year career) before he died. Tosca is a masterwork that del Monaco refers to as “musically and dramaturgically perfect.” Based on a French melodrama, the opera is a heart-wrenching portrait of Rome, set in the tense Italian political climate at the turn of the 19th century. 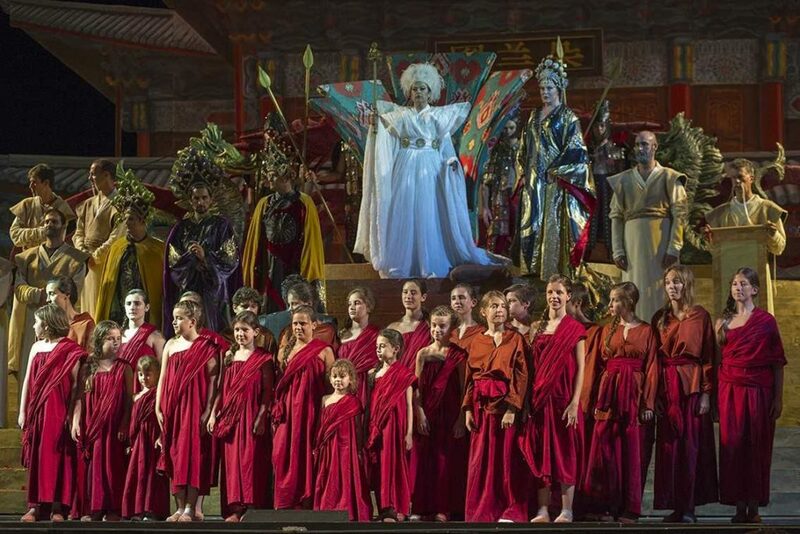 Puccini’s beloved Turandot, an unfinished opera set in China, will be performed on August 17. The drama follows a man as he attempts to win a princess’ love through a series of life-or-death challenges. With Carla Tolomeo, an eclectic multimedia artist, helming the scenography and modern costume design by Fausto Puglisi, the festival’s vision of Turandot is colorful and fairytale-like, celebrating light amidst a narrative of cruelty. Puccini’s famously tragic foray into far-eastern milieu, Madama Butterfly, will be interpreted on August 18. The lyrical story of a U.S. Navy Lieutenant falling for a Japanese Geisha has captured audiences since its first performance on the shores of Lake Massaciùccoli in 1931. Since then, the opera has been reinterpreted, and constantly restaged to more accurately and respectfully represent Japan, a country the composer could only imagine. In 2000, famous Japanese sculptor Ken Yasuda proposed a strikingly minimalist scenography sculpted out of white marble that modeled Japanese spaces in white Tuscan marble, uniting two countries in a symbolic composition of subject and material. Yasuda’s deeply provocative spatial statement on “Japanism”—reducing the colorful exotification usually seen in the opera’s staging to simple, humanistic shapes—has remained, fascinating spectators with the pure, humanistic lens it provides for the affecting drama. On August 25 the program turns to Il Trittico, a collection of Puccini’s three famous one-act operas: Il Tabarro, Suor Angelica, and Gianni Schicchi. The work celebrates its 100-year anniversary this year, a composition that he dedicated himself to during the first world war, poring over the music in violence. The three acts are diverse in their thematic content: Il Tabarro is a working-class noir set in Paris, Suor Angelica (Puccini’s favorite of the three) a meditation on motherhood and religion in a convent, and Gianni Schicchi—the most famous of the three, and the lightest in tone—a 19th century interpretation of Dante’s Divine Comedy that contains the composer’s most famous aria: the instantly recognizable O mio babbino caro. Il Trittico, a showpiece of Puccini’s imagination and versatile capabilities as an artist, is the perfect close to the season. Like a microcosm of his entire body of work, the piece’s extreme range of emotion and energy has been sustained across countless years, wars, and technological innovations. Off the stage and over the placid landscape beyond, a recognizable voice floats; it is the voice of one of Italy’s greatest artists, still ringing, immutable, across the lake.